Effective algorithms will be developed to allow the intended end users to deal with ever larger and ever more complex molecular and material systems. Current electronic structure theory is one example showing the way to go. The basis of efficient codes is the use of modern computer architectures, such as GPUs and massively parallel machines, and algorithms need to be developed correctly to take advantage of these computers. WG3 will encourage best practice in coding as well as look for practical solutions to common bottlenecks in computational needs. Parallel codes running efficiently in a wide range of computing environments, including Tier-0 and Tier-1 EU supercomputers are the goal. 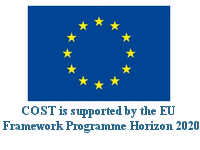 Standards and open-source modelling software and appropriate interfaces will be developed.